As a child, I used to love chocolate and vanilla twist soft serve frozen yogurt. Now that I'm a vegan, my days of eating soft serve at the mall are long past, but I still enjoy that classic combination. I was pleased to discover that Greenridge Organics makes a luscious body mousse in "coconilla," a scent that allows me to enjoy my favorite childhood treat in a vegan-friendly way. 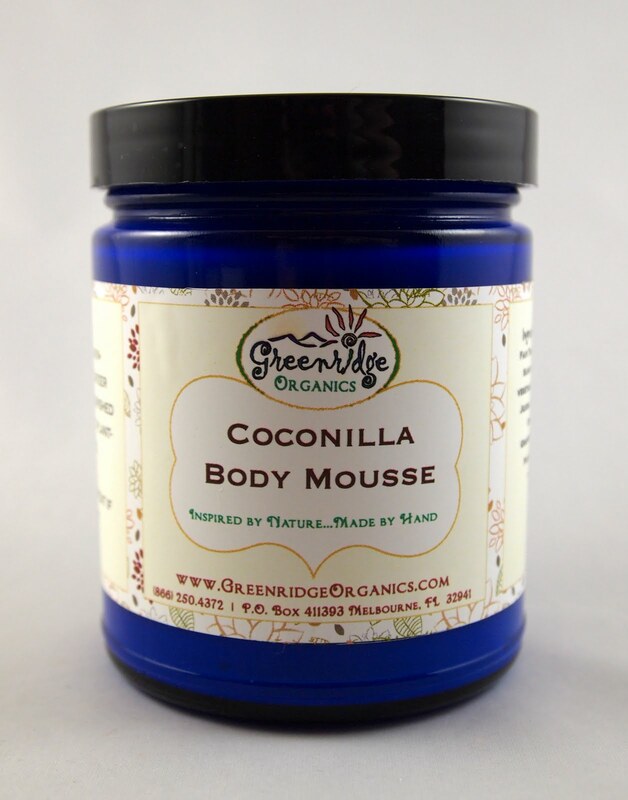 I really enjoy using this coconilla body mousse, as it smells wonderful and has quickly become one of my favorite night moisturizers. If you have used other mousse moisturizers, you may find this to be more similar to whipped butter (more of a lightweight cream than an airy pie mousse). However, it is still easy to apply and provides great hydration for the body. Each eight ounce jar costs about $25, but that amount would likely last six months to a year, depending on usage.